Air traffic controllers assigned to the 57th Operation Support Squadron guide various types of aircraft throughout the Nellis airways at the Nellis Air Traffic Control Facility. At the NATCF, more than 70 ATC specialists work by providing voice instruction by radio to ensure safe airways. 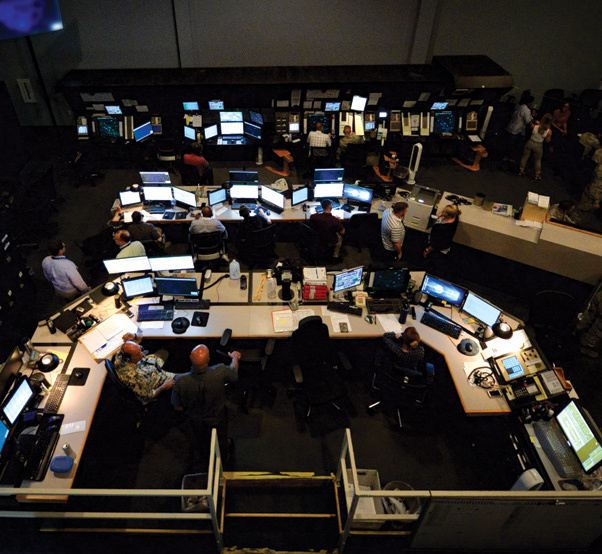 In a large, dimly lit room located in the Nellis Air Traffic Control Facility (NATCF), faces are illuminated only by the reflection of air traffic control radar scopes. The lives of aircrews flying above depend greatly on the critical flight information air traffic control specialists on the ground provide in order to prevent accidents. 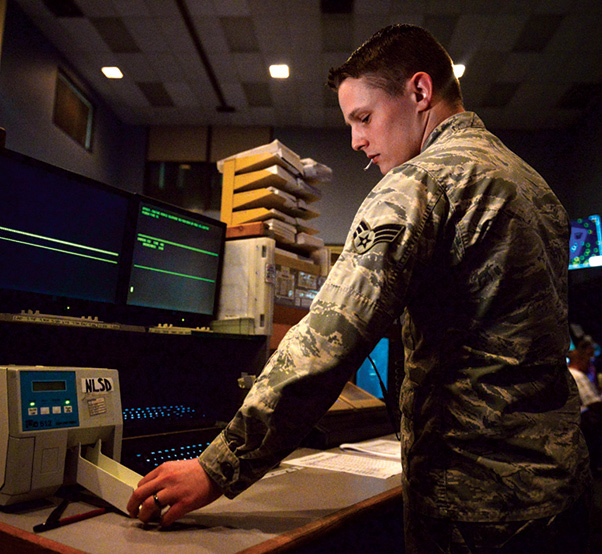 Senior Airman Orion Furber, air traffic controller assigned to the 57th Operation Support Squadron, prepares flight information for the scope controllers at the Nellis Air Traffic Control Facility. ATC specialists are responsible for the safety and guidance of air traffic by managing the flow of aircraft throughout their flights. ATC specialists are responsible for the safety and guidance of air traffic by managing the flow of aircraft for the duration of their flights. At the NATCF, ATC specialists guide various aircraft types, from helicopter to fighter jets to heavy cargo planes. 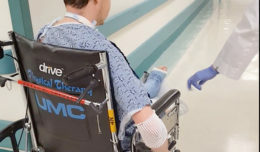 Vigorous training and hours of hands on practice prepare ATC specialists to assure the safeguarding of millions of dollars’ worth of equipment and thousands of lives on a daily basis. When Red Flag kicks off at Nellis, the workload intensifies. The increase of air traffic can be challenging for ATC specialists at the NATCF; they use a team concept to ensure flight safety in and out of the Nevada Test and Training Range. Airman 1st Class Jamel Johnson, air traffic controller apprentice assigned to the 57th Operation Support Squadron, guides aircraft as the scope controller at the Nellis Air Traffic Control Facility. At the NATCF, ATC specialists guide various aircraft types, from helicopter to fighter jets to heavy cargo planes. More than 70 ATC specialists work by providing voice instruction over radio to ensure safe airways. “Throughout Red Flag, controllers are able to gain experience working with foreign allied forces,” said Tech. Sgt. Amy Gardner, 57th OSS assistant chief controller. “These scenarios teach them how to handle language barriers by slowing down their rate of speech and communicating appropriately with allied air forces. 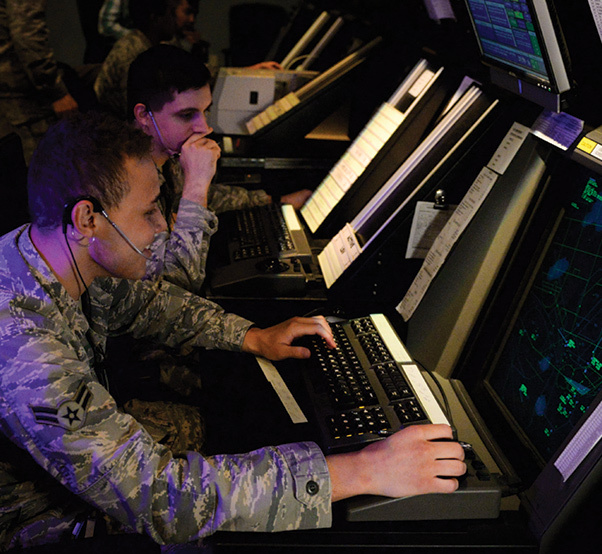 Through attention to detail, ATC specialists are able to promote combat air force lethality by utilizing their training in quick decision making to guide aircraft where they need to go during the Red Flag training scenarios. Red Flag 18-3 concluded Aug. 3. 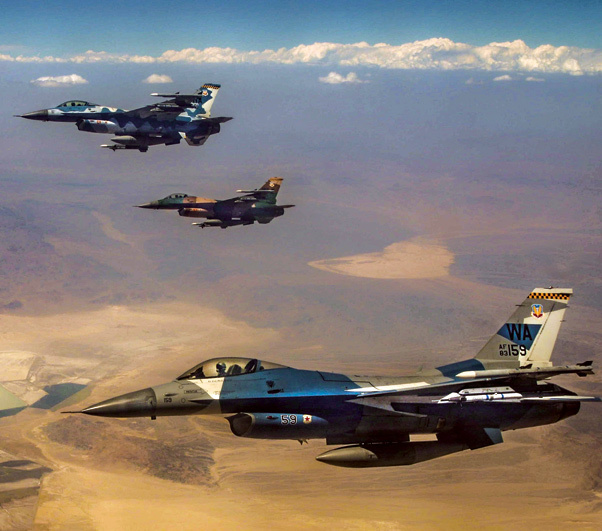 Three F-16 Fighting Falcon fighter jets assigned to the 64th Aggressors Squadron fly over the Nevada Test and Training Range during Red Flag 18-3. The 64th AGRS served as part of the red forces during Red Flag 18-3 to prepare combat air forces, joint and allied aircrews for tomorrow’s victories, with challenging and realistic scenarios.